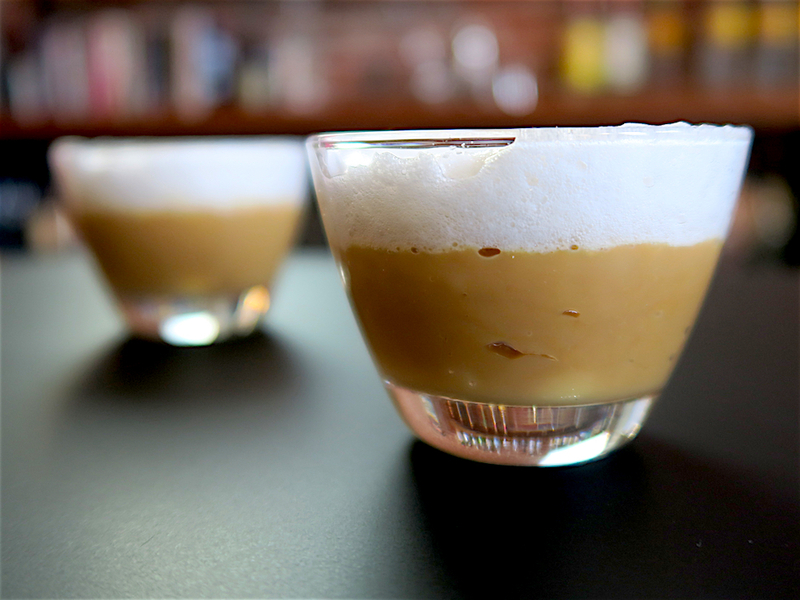 The Suspiro Limeño is a creamy custard topped with a meringue cloud, that according to a Peruvian poet is as sweet and light as a woman’s sigh. It originated in Lima, the City of Kings, and was first known as the “Royal Delight of Peru.” The traditional recipe calls for slow cooking milk with spices, but this modern version uses a popular technique that results in a creamy and sweet manjar blanco custard. In this recipe, the meringue is scooped to create a layered dessert, but it can also be piped for a fancier presentation. In addition to the ingredients above you’ll need a bowl and an electric mixer with a whipping attachment. Serve in small cups, with 1-2 oz. of the manjar blanco on the bottom and a scoop of meringue on top. Garnish with cinnamon dust. To prepare the simple syrup, combine 1 part sugar and 1 part water in a saucepan, bring to a boil and stir until the sugar dissolves. Transfer to a mason jar and let cool completely before using.